Pressure treated lumber is specially processed to improve its performance under demanding conditions. It undergoes a process of vacuum and pressure cycles within a sealed cylinder which forces preservatives deep into the cellular structure of the wood. It forms a chemical bond that resists decay and attack by insects. This bonding process locks the preservative into the wood, making it highly resistant to leaching or dissolving. Our pressure treated lumber is available in MCA (micronized copper azole) and CCA-C (chromated copper arsenate) pressure treating processes. 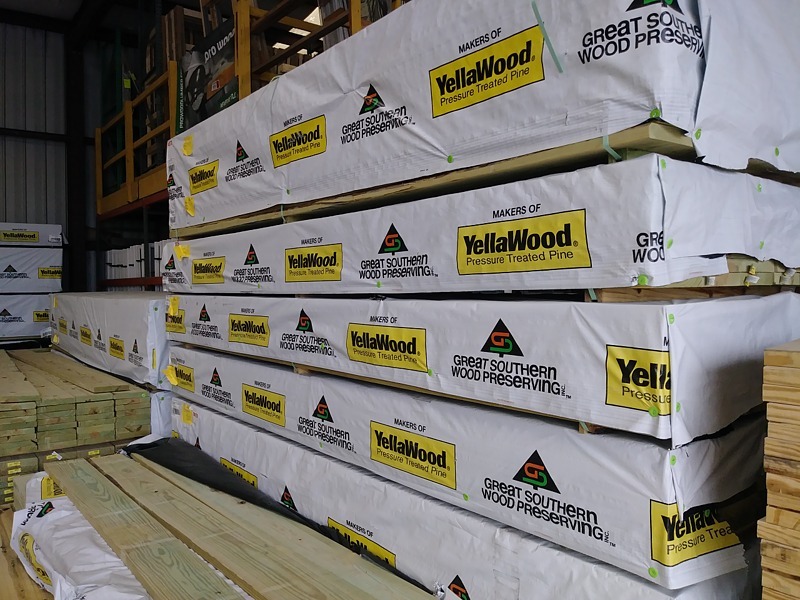 Hackmann stocks MCA treated lumber from YellaWood® Decking and KDAT which are backed by a lifetime limited warranty. We also carry CCA-C treated 6x6 timbers from Wolmanized. Need fire treated lumber? You'll find it at Hackmann! We have interior and exterior fire treated lumber, as well. Use Codes are crucial because they specify what construction application is appropriate for a particular lumber. Some environments demand more from lumber, such as exterior use. Not sure what type of preserved wood you should select? 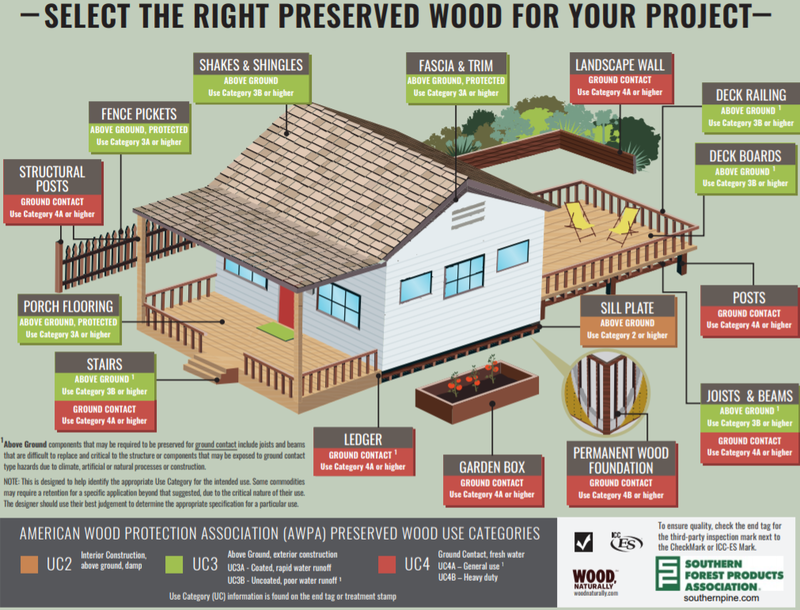 It helps to follow the American Wood Protection Association's (AWPA) Preserved Wood Use Categories. This code is found on the end tag or treatment stamp of lumber. If you're not sure which code is appropriate, this Use Category Diagram from Southern Forest Products Association should help. YellaWood treated lumber is preserved with MCA. 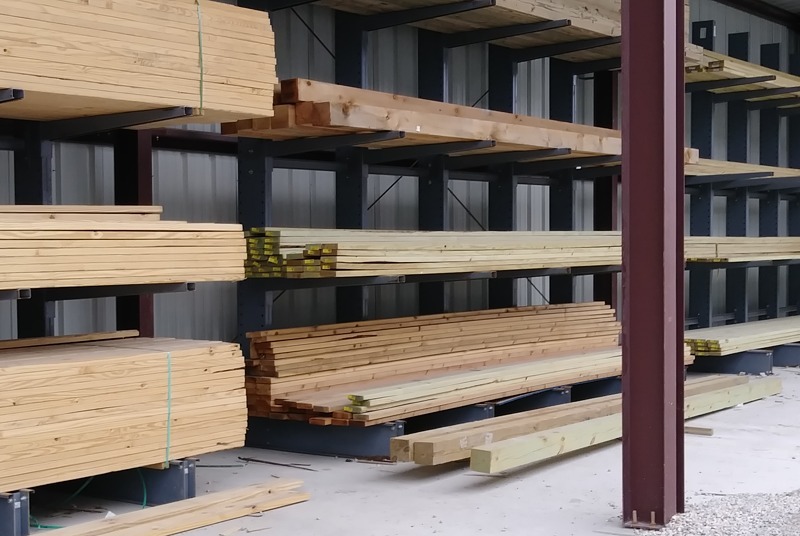 We stock a large variety of sizes up to 20’ lengths and have available many special sizes of lumber and timbers. Our treated 2x8 and 4x4’s are stocked in #1 yellow pine. 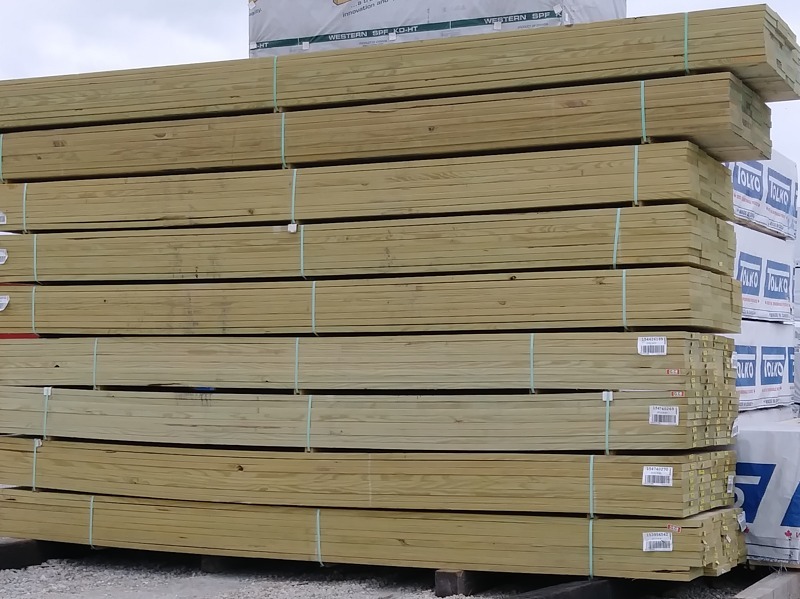 Our 2x6 decking is stocked in a #2 prime. 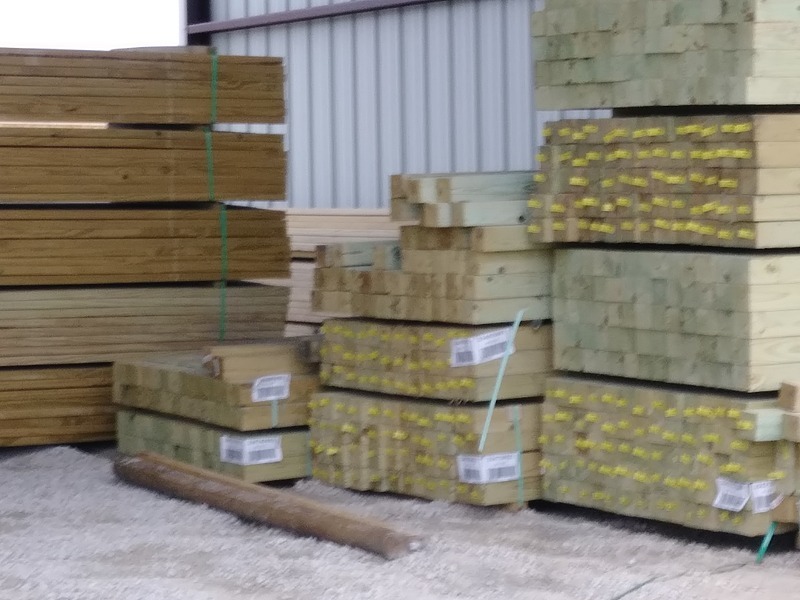 Hackmann also offers in-stock 5/4x6 Standard Treated Radius Edge deck planks. 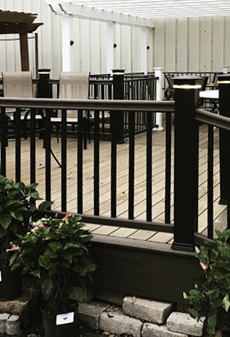 Radius Edge decking is offered in 12’ and 16’ lengths. YellaWood offers a limited warranty. 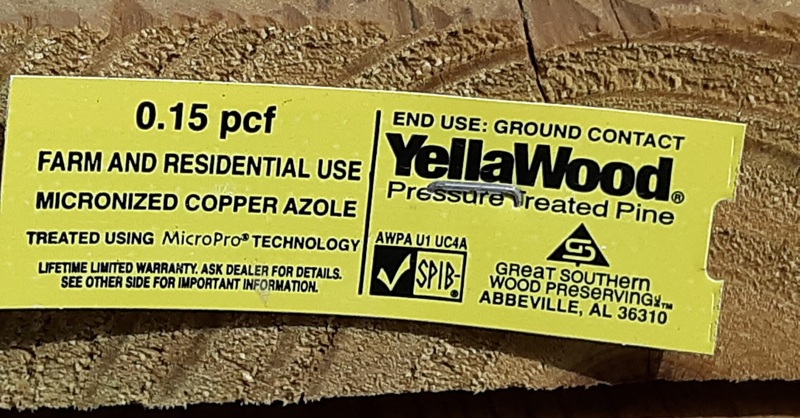 YellaWood treated wood is identified by a yellow end-tag affixed to the lumber. 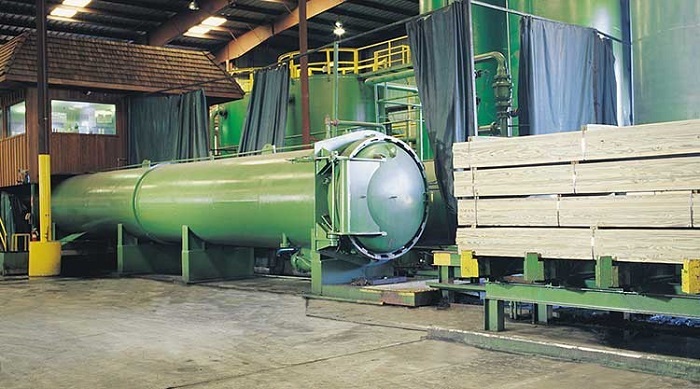 ProWood treated lumber from Universal Forest Products is pressure-treated with MCA. When you choose ProWood ®, you get superior lumber preferred by professional builders — backed by a Lifetime Limited Warranty. Select ProWood for quality that lasts! We stock ProWood in 2x10s and 2x12s in #1 yellow pine. ProWood treated wood is identified by a white end-tag affixed to the lumber. Wolmanized Wood is pressure-treated with CCA-Type C preservative to provide structural protection from fungal decay and termites. This treatment gives the lumber a higher use code than is possible with MCA. 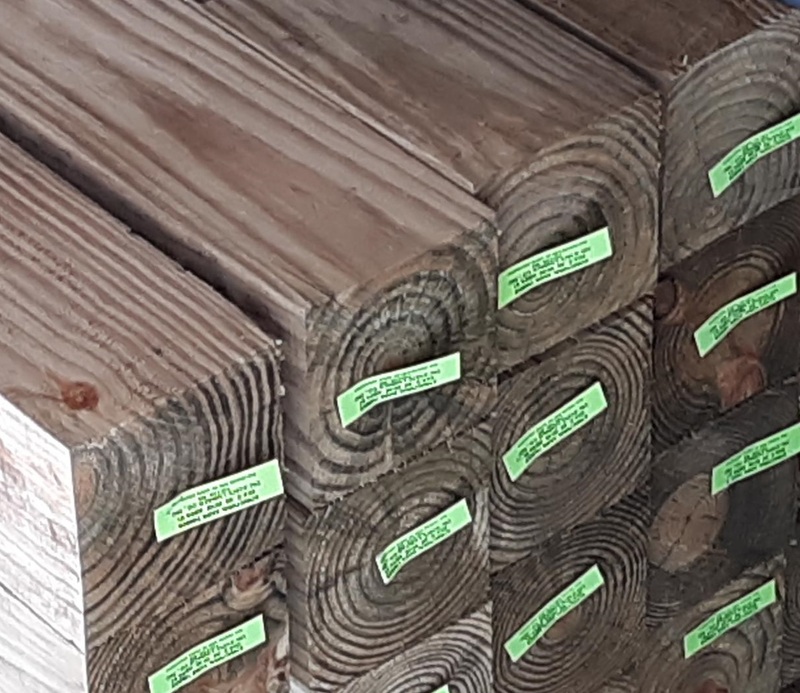 We stock this in 6x6 timbers in 8', 10', 12', 14', 16', and 20' lengths. For best protection and as a requirement for Wolmanized's limited warranty coverage, always treat cut ends with a wood preservative end-cut solution containing a minimum of 0.675% copper as oxine copper (copper-8 or copper-8-quinolinolate) or 1% copper as copper naphthenate. Hackmann stocks Woodlife CopperCoat Green Wood Preservative which contains copper naphthenate. Wolmanized treated wood is identified by a green end-tag affixed to the lumber. We offer both interior and exterior fire retardant treated lumber supplied by Hoover Treated Wood Products®. 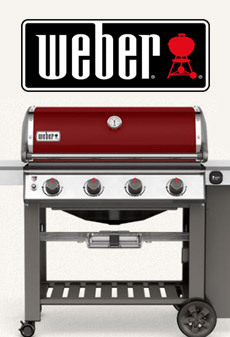 The interior fire retardant is Hoover Pyro Guard® and the exterior is Hoover Fire-X®. Pyro-Guard is impregnated deep into the wood with pressure to provide permanent protection, unlike coatings, which only provide superficial protection. Pyro-Guard interior fire-retardant-treated wood has a low rate of fuel contribution and heat release, and it maintains structural integrity longer than other building materials such as steel. Consequently, fire damages and repair costs are minimized, resulting in reduced insurance rates. Fire treated lumber is identified by a stamp directly onto the wood face. We also stock YellaWood Professional grade KDAT(kiln dried after treatment). KDAT lumber is stronger, lighter and cleaner to work with. 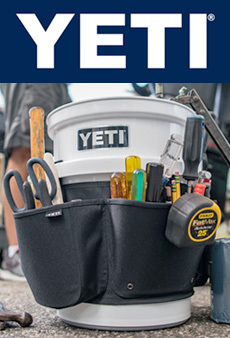 It has reduced cupping, twisting and warping, has increased fastener holding power and can be stained or painted immediately after installing. KDAT YellaWood is the best choice for your next project for the best results at only a small up-charge. 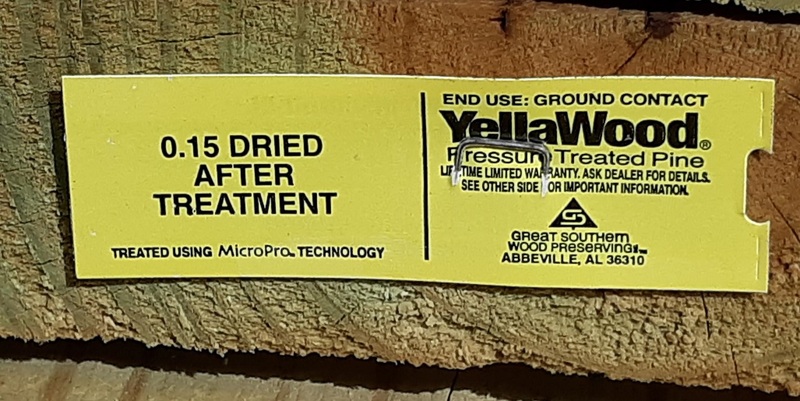 KDAT treated lumber is identified by a yellow end tag. We work hard to provide you with the best quality for the best price. Therefore, our stock of 6' x 6' timbers varies. Check the end tag for use code. When Can Treated Lumber Be Painted or Stained? Want to learn more about pressure treated lumber? This publication from Southern Forest Products Association will tell you all there is to know about treated yellow pine lumber.